The Alaskan Way Viaduct Seattle. 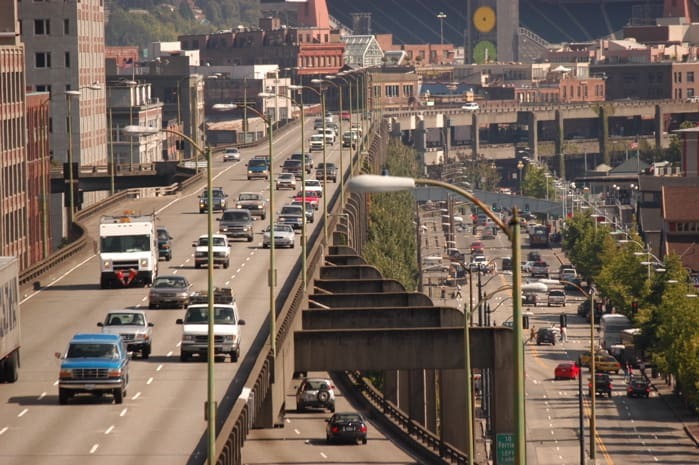 The recent closure of the Seattle Viaduct was predicted by various news outlets to be a traffic headache. Despite that fearsome prediction, it is proving to not be a problem for the Seattle Public Schools transportation department. While SPS was concerned that the closure that took effect on Jan. 11 might be a challenge, they were able to take adequate measures and respond to those challenges accordingly, said Tim Robinson, lead media relations specialist for Seattle Public Schools. No alternative routes are currently being taken due to the closure of the viaduct, since transportation times were not significantly affected. “We’re pleased that, thus far, the viaduct closure hasn’t been impacting bus service,” Robinson said. Robinson credited the lack of impact to the district’s school bus contractor, First Student, which was able to plan ahead of the closure. Robinson said the company brought in additional drivers, so all drivers were well-prepared for the closure and responded accordingly. The Alaskan Way Viaduct consists of 2.2 miles of elevated highway and flows into downtown Seattle. According to the Washington State Department of Transportation, the viaduct will be closed for three weeks, until the highway is realigned to a new tunnel. The project encourages commuters and employees to shift travel time, bike or walk to work or school, carpool, use public transportation and to be prepared for the new route.